If you are anything like me, you find yourself on a regular basis, past the time to start cooking dinner, and inevitably you forgot to pull out some ground hamburger or ground turkey to cook up for tacos, spaghetti, sloppy joes, etc. 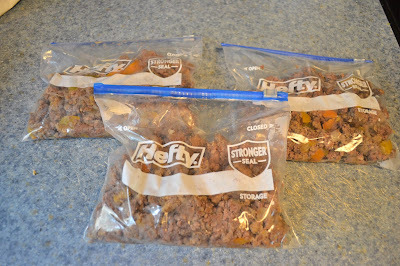 I have found that if once every other month or so, I spend a Saturday precooking my hamburger and putting it in freezer bags in the freezer, then in the time it takes me to pull a frozen brick of raw hamburger out to thaw in the microwave, I can pull out a bag of my already cooked Hamburger mix, thaw it and I'm ready to throw the rest of the dinner together. Now, I usually leave my precooked hamburger packets just plain, but you should decide if you want to also divide it even further and season some for taco meat, pasta sauce/meat, etc. Then plan out how many pounds of meat you want to cook. Obviously this works for ground beef, turkey, chicken, pork etc. 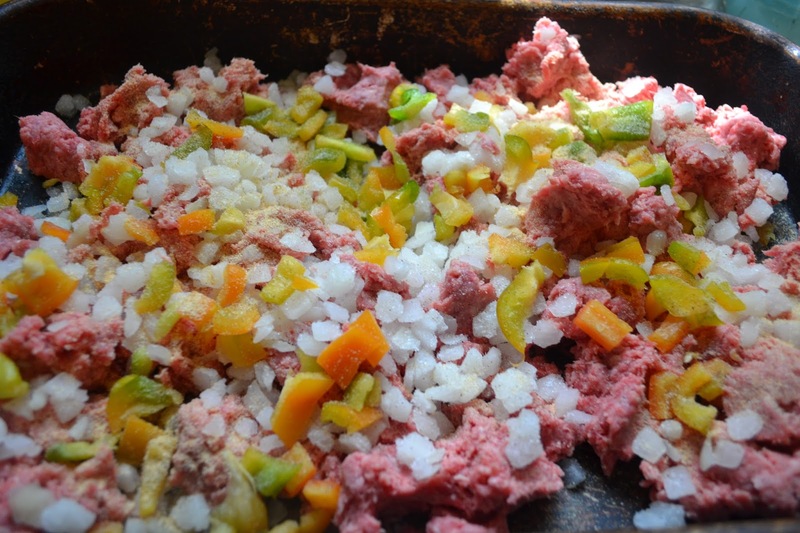 There are TONS of recipes for a Master Hamburger mix, but you should do one that suits the taste of your family. cook as much as you have room to fit, but I cook about 10 lb.s for each session. Grab your seasonings, whatever suits your family. I even stretch mine with cooked lentils! If you'd like a recipe to get you started here is one of my favorites! I have found several ways of cooking my multiple pounds of hamburger without standing over a stove all weekend long. 2)Oven: I use the Oven method the most. Crumble your hamburger mix into multiple cake pans (I like disposable pans for easy clean up). Bake them in the oven till done, and re-crumble it with a spoon to desired texture. These methods allow you the flexibility of doing some other chores while doing your freezer cooking session. Once the meat is cooked, you can now divide it and season it as taco or other flavors if you desire. 2 cups of cooked, crumbled hamburger = 1 pound. 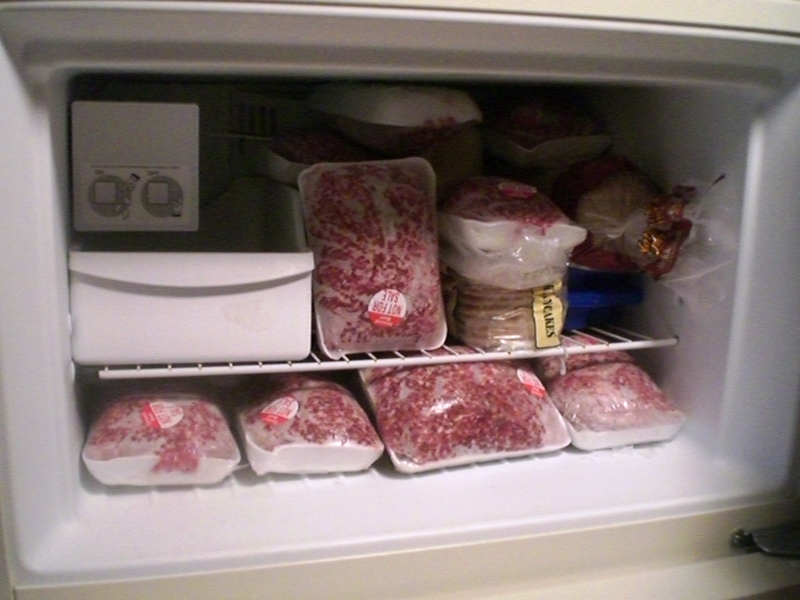 Freezer bags, air tight plastic containers, or even canning jars (with a tight fitting lid) can be used in your freezer. 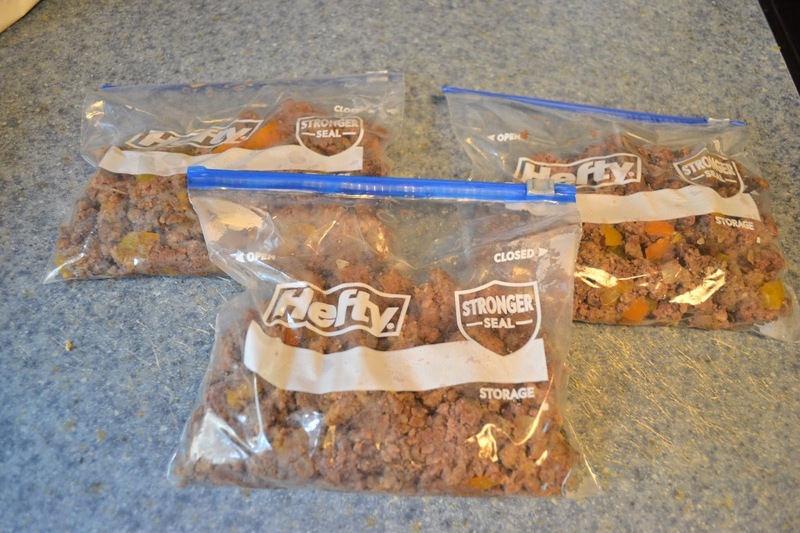 if using bags, lay your bags flat and freeze in a single layer (don't stack them yet!). once the bag is frozen, then you can stack them on top of each other and the bags won't stick together! PS Don't forget to label it and date it!